Dark rounded social buttons for dribbble, facebook and twitter. Free PSD designed by Jeremy Goldberg. Posted on November 28, 2012 in Free PSD, Buttons and tagged social icons, twitter, facebook, dribbble. This post has been viewed 1973 times. 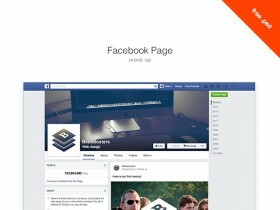 Here is a ready-made Facebook page mockup. 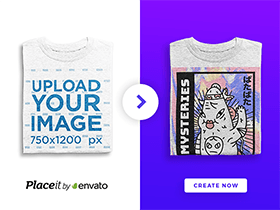 Free PSD created and released by Artem Shykov. 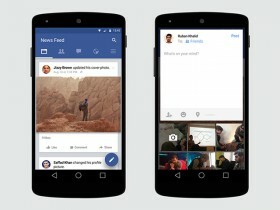 Redesigned Facebook app using Android Material Design philosophy. Free PSD created and released by Ruban Khalid. 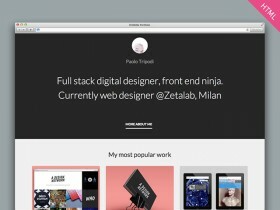 Here is a nice portfolio HTML template built with Dribbble API. You can build your portfolio in a few minutes! Coded by Paolo Tripodi. 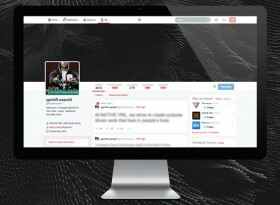 Here is the PSD of Twitter new user interface made with vector shapes. Free PSD created and released by Riyadh Gordon.